READY TO LEAVE ..we have 1girls chunky akita pups left . born on 27th august ..mum an dad are our family pets. 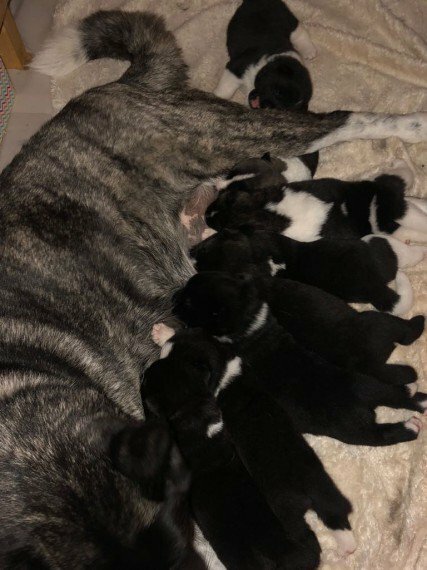 they have fantastic temperament...brought up around our children .will be ready to leave at 8 weeks old will be wormed .micro chipped 1st vaccination ..a none refundable deposit of 100 to secure puppy of your choice .photo 9 is the one left......... thanks for looking .